Saturday was Jordana & Dale’s beautiful wedding which was held at Dale’s parents’ farm in Camrose, Alberta. The night before we had a wicked storm in Edmonton so we were worried that it might be a bit muddy out at the farm but thankfully the storm bypassed Camrose and left us with nice dry conditions. This was such a fun wedding for us from beginning to end for a variety of reasons. Our friend Aminah and my cousin Greg were both in the wedding party so we knew there would be a few practical jokes along with some good laughs throughout the day. 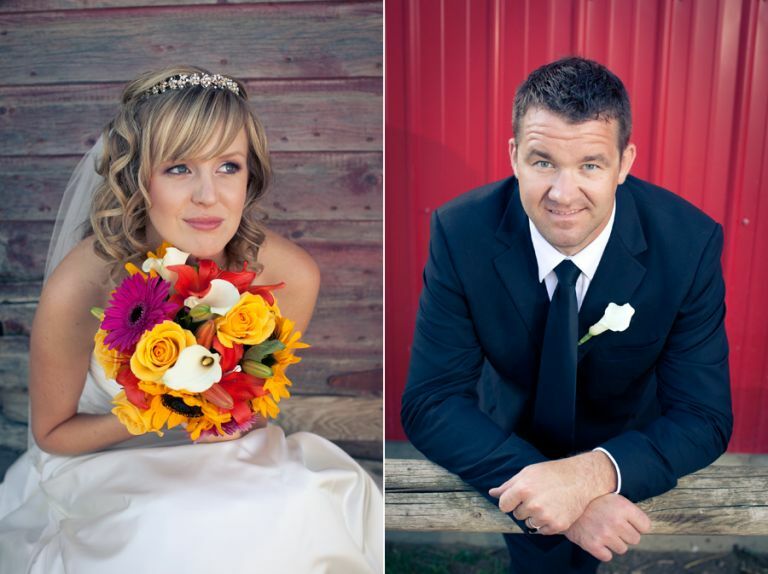 The Hildebrant’s farm was such a great location for photography. As city kids from Edmonton, Sarah and I both enjoyed wandering around the farm and experiencing all the sights and smells. Ken & Joanne have a great collection of animals including horses, cows, donkeys, Wallabees, Chinese Geese, rabbits and more. The ceremony and reception all took place out at the farm but we briefly ducked into town for a few photos with the wedding party at one the local schools and in front of a an awesome grain elevator. We then headed back to the farm for some more photographs with Jordana & Dale. Jordana looked amazing in her beautiful gown and Dale was very handsome in his black suit. Here are a few sneak peeks at some of our photographs from the wedding this past Saturday. Enjoy your honeymoon guys and we’ll see you when you get back!